Gary K. Michelson is a spinal surgeon who has dedicated his life to the search for more effective treatments for the most debilitating of spinal disorders and the relief of spinal pain. Dr. Michelson has hundreds of patents and patent applications to his name in the field of orthopedics, both in the United States and throughout the world. Dissatisfied with available treatments, Dr. Michelson designed comprehensive spinal surgical systems including instruments, operative methods, and medical implants. 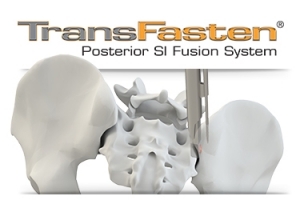 Dr. Michelson’s inventions provide a foundation for many surgical treatments used for major spinal disorders, and are central to many minimally invasive spinal surgery systems, anterior cervical plating systems, interbody spinal fusion systems, and systems for implanting spinal motion preserving devices such as artificial disks. Procedures incorporating Dr. Michelson’s inventions have been associated with smaller incisions, reduced blood loss, shortened surgical times, reduced discomfort, quicker rehabilitation, improved results, and decreased overall cost.